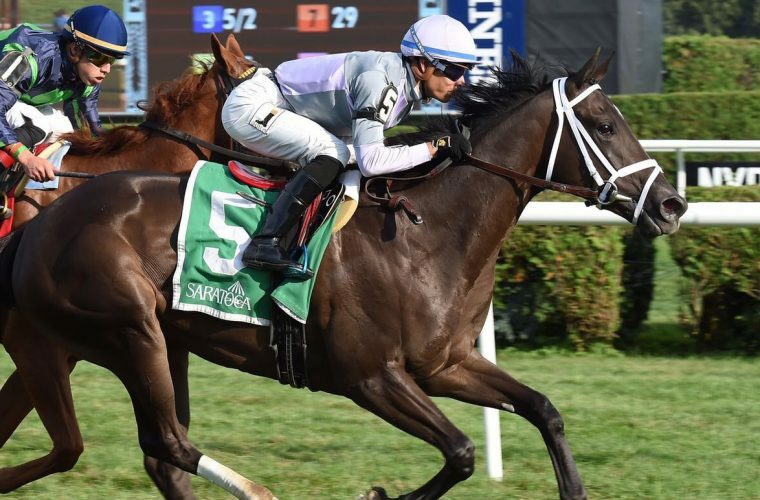 HALLANDALE BEACH, Fla. – By ending a promising 2-year-old campaign in the Juvenile Turf Sprint on Breeders’ Cup Saturday last November at Del Mar, the filly March X Press faced some of the best horses anyone could round up in that particular category – male or female. Widest of all once a field of 12 turned for home, March X Press closed resolutely to finish a respectable fifth when just two lengths behind the winner, Declarationofpeace, a Coolmore colt trained by Aidan O’Brien. Duly regrouped by Todd Pletcher, March X Press will make her 3-year-old debut as a heavy favorite Sunday in the $75,000 Melody of Colors at Gulfstream Park. A dark bay daughter of the young sire Shanghai Bobby, March X Press is owned by New York City diamond dealers Ben Goldberg and Elliot Friman under their Golconda Stables banner. BSW Bloodstock purchased and manages March X Press for Golconda. 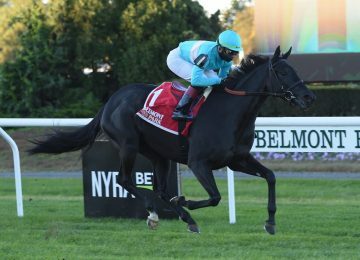 A winner of her first two starts, both in New York-bred company at Saratoga, March X Press was fourth in the Grade 1 Natalma at Woodbine before her trip to Del Mar. 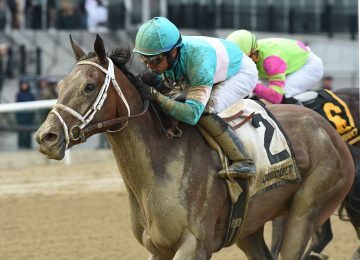 March X Press, with Jose Ortiz to ride, will break from post 3 in a field of seven 3-year-old fillies in the Melody of Colors, which anchors the Sunday card as the 11th of 13 races. First post is noon Eastern, with the feature set for 5:04. 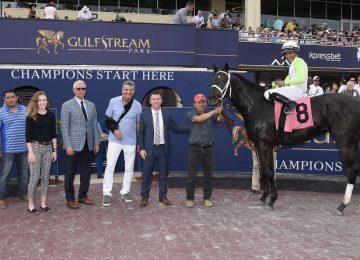 Pletcher, who led the Gulfstream standings with 44 winners through Thursday as he seeks an amazing 15th straight training title at the championship meet, will have a second starter in the Melody of Colors in Treasure for Gold (post 2, Tyler Gaffalione). The Florida-bred filly will be making just her second career start after winning her debut here last July. Top challengers to the uncoupled Pletcher pair figure to be Mrs. Ramona G. (post 1, Luis Saez) and Crazy for Sofia (post 4, Edgard Zayas). Rounding out the lineup are Picara, Cosita Rica, and Roses in the South. This is the third running of the Melody of Colors, which is named for the Timmy Hills-trained filly who banked $342,235 in a 41-race career that ended in 2006. Morticia was the 2017 winner for Rusty Arnold. 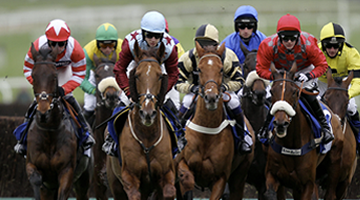 The Melody of Colors is part of the 20-cent Rainbow 6, which spans races 8-13. Into Friday action, the Rainbow 6 jackpot stood at nearly $1.36 million, having gone unswept since a mandatory dispersal on Jan. 28. After Sunday, Gulfstream goes dark for two days before another five-day week resumes Wednesday. The Fountain of Youth Stakes is one of nine stakes scheduled for next Saturday, March 3.